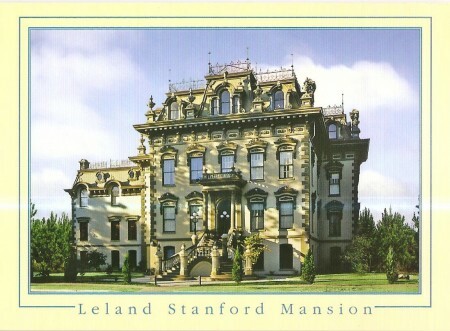 Leland Stanford was born to a successful farmer in New York in 1824. He studied law and was admitted to the bar, and then like so many others of the period, he moved west. To Port Washington, Wisconsin. In 1850 he married Jane Lathrop and they settled in together, but unfortunately, his law office and his entire collection of law books was destroyed in 1852. Why is all this important? Well, because after the fire he decided to follow his five brothers to California, where he discovered that he loved the hustle and bustle of the Gold Rush and was quite successful operating a store selling supplies to miners. 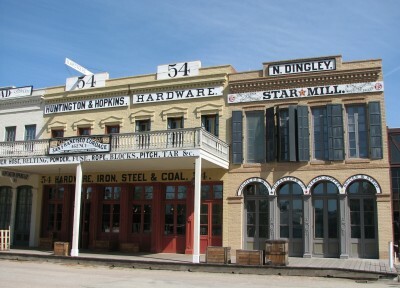 Shortly after, he and several other businessmen pooled their resources and founded the Central Pacific Railroad, and Stanford was named President of the company. In 1861, Stanford ran for California Governor and was elected to a two-year term. In the grand scheme of things, he really wasn’t Governor for very long… In 1868, while the Central Pacific Railroad was under construction, Stanford and his buddies created the Union Express Company, which merged with Wells Fargo and Company (you know the express company which delivered money and mail…) and they they managed to acquire control of the Southern Pacific Railroad, which Stanford became President of. If all this robber baron finagling is confusing, no worries, because what you really just need to know is that a) this guy played a big part in the railroads to the West Coast, and b) as the President of the Central Pacific Railroad, he got to drive the ceremonial last spike at Promontory Utah, where the Central Pacific Railroad met the Union Pacific Railroad. Talk about something to tell your grandkids! But sadly, he never got to tell that story to any grandchildren, because Leland and Jane’s only child, a son named Leland, Jr., died of typhoid fever while traveling with his parents in Italy in 1884. As a result of the death of their only child, Leland Stanford decided that if he would not have the opportunity to educate his own child, then he would educate other children. He set up an endowment that created a university that perhaps you have heard of: Stanford University in Palo Alto. The University was named for Leland, Jr. But the mansion, you ask… The mansion was built between 1856 and 1857 by Shelton C. Fogus. It wasn’t quite a mansion at that time – only 4,000 square feet. 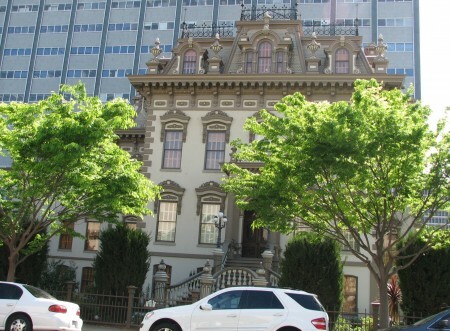 The Stanford’s remodel of the home between 1871 and 1872 would raise the home by twelve feet (remember my last post where I explained that Sacramento was prone to floods? 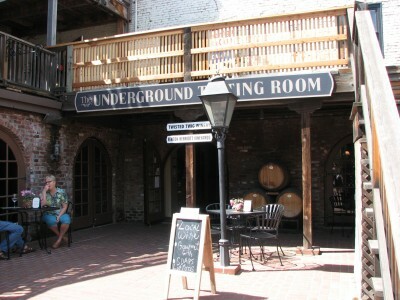 ), add a new bottom floor and a new top floor and expand the square footage to 19,000 square feet! And he wasn’t even Governor anymore at that point! It was at this point that the very distinctive Mansard roof was added. Stanford died in 1893, at the age of 69 and Jane kept the home until 1900, when she donated it to the Roman Catholic Diocese of Sacramento, who gave it to the Sisters of Mercy to be used as an orphanage. In 1932, it was handed over to the Sisters of Social Service, who converted the orphanage into a home for dependent high school girls. These are girls who have been removed from their homes for various reasons, abuse, juvenile deliquency, etc. and they ended up here in an attempt to give them some sort of home life that they couldn’t get in their own homes. 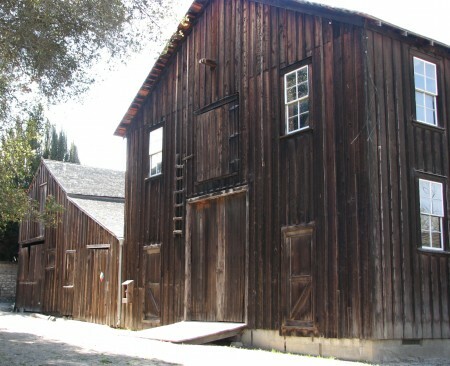 The State of California acquired the property in 1978 through eminent domain to be used as a state park, but allowed the Sisters of Social Service use of the home until 1987. Our guide told us that the Sisters of Social Service were ok with getting out from under the home at that point, as the cost of upkeep of the mansion had become a burden. 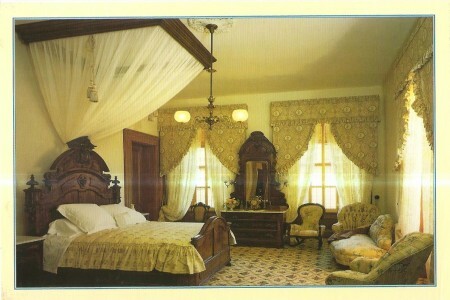 The State then completed a major restoration of the home, restoring most of the home to its 1870s look. One of the things that the nuns did is to preserve the original walls and layout of the home – instead of knocking down walls, they added walls in places where they could easily be removed. They painted and wallpapered too, but they didn’t damage or remove the original architectural elements, having plumbing and electrical wiring worked around the features to avoid damaging them. And the orphans and girls apparently treated their home with respect – that doesn’t seem to happen so much anymore… The restoration project left one wing of the home as it looked during its time as a Girls’ Home, and it is interesting to see the differences. The home is now open for tours (on the hour), except when the current Governor of California is using the home for special events. The tour begins with a 15 minute video about the history of Sacramento, the Stanfords, and the home, and then you get to visit all but the very top floor of the home. Our guide was very knowledgeable about the home, and you could tell she is very proud of it – she should be, it is awesome! 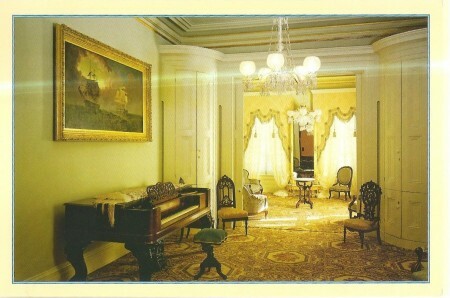 A lot of the Stanford’s original furniture and the home’s accessories (sconces, doorknobs, etc.) are still in the home. When I asked how they came to have so much of the original furniture, when the home had been a girls’ home and an orphanage for almost 90 years in between, the guide explained that the nuns had put all of the furniture up into the attic for safekeeping. They did sell off some pieces when they needed money for the home’s upkeep, but many of the original furniture pieces and accessories weren’t sold. 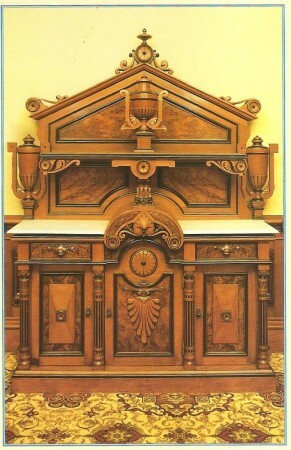 Stanford was very proud of his association with the railroad, and he had furniture custom made to look like trains – the guide showed us a sideboard that had the distinctive look of the front of a train, and wall sconces designed to look like train lanterns! And one last thing that our guide explained – why our tour was free! Apparently during the budget crisis a few years ago, the mansion was transferred from the California State Parks Department to the Legislative Branch – after all the Governor maintains an office here and uses the home for events. Apparently, the Legislative Branch of the California State Government is not allowed for charge for its services (that makes sense, being government for the people and all…) but they have interpreted that to mean that they are not permitted to charge admission to see the home. If you have a chance, do visit, and I hope you enjoy this beautiful home as much as we did! 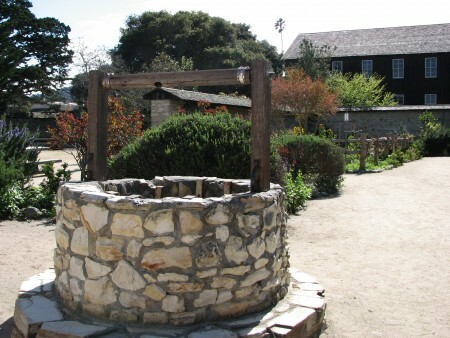 After visiting the San Carlos de Borromeo Mission, we headed into the nearby town of Carmel-by-the-Sea. Carmel is a cute, resort town a few miles away from Monterey, which has evolved as a quirky, artsy community over the years. Back in the early 1900s, several well-known writers lived there, including Jack London, Ambrose Bierce, Upton Sinclair and Sinclair Lewis. Apparently it is very dog friendly, with pups being welcomed in most shops and hotels and the outdoor areas of restaurants. Clint Eastwood was the Mayor there for one term in the late 1980s. Curiously, there is a law prohibiting wearing women from wearing heels over two inches high – to lessen the risk of lawsuits from tripping on the sidewalks, which are uneven from being pushed up by tree roots. If you are interested in wearing high heels, don’t worry, you can get a permit for free from City Hall – and the law is not enforced. After checking out Carmel, we continued to the 17 Mile Drive. 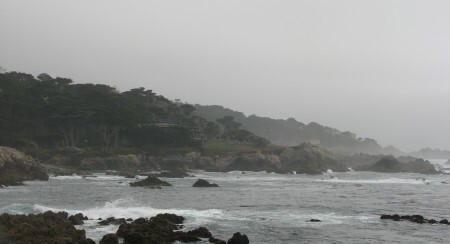 The 17 Mile Drive is a scenic drive in the gated community of Pebble Beach. 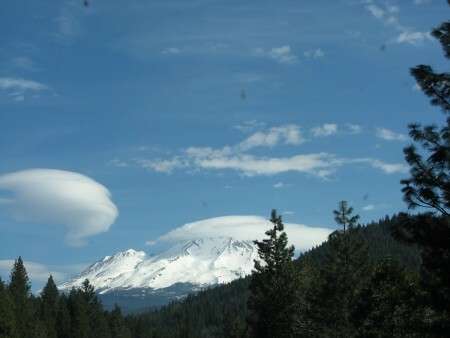 Non-residents must pay a toll of $9.75 to get into the community – but you get a map with your admission, and once in, you can travel at your leisure visiting the many scenic vistas and pull-outs along the drive. The map gives you a bit of information about each of the stops. 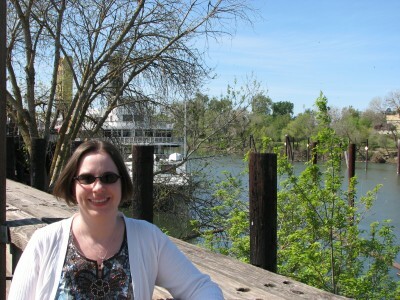 The day we were there, it was a bit foggy – that is typical – but relatively warm for March, with just a mild breeze. There were some surfers catching a wave off the beach and we watched them for a few minutes before continuing on our way. China Rock was next – named for the Chinese immigrants who made their homes in lean-tos against the rocks in the late 1800s and early 1900s. They fished and polished agates to sell to tourists to make a living. One interesting vista point is at Bird Rock. As the story goes, Bird Rock was called that because thousands of birds roosted there. Bird Rock was harvested for its rich deposits of guano back in the early 1900s (bird poop makes great fertilizer!) 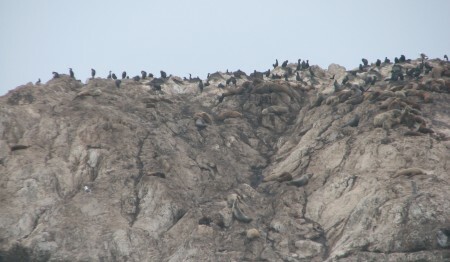 and after the guano was gone, the seals and sea lions decided this rock seemed like a good place to hang out! 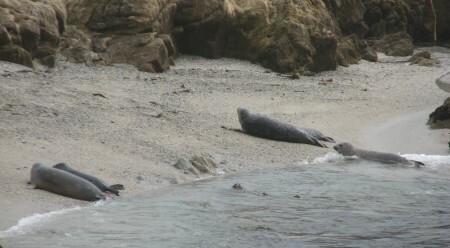 So now, Brandt’s Cormorants, Western Gulls, pelicans and Ashy Petrels hang out with California Sea Lions and Harbor Seals, all vying for the perfect spot. 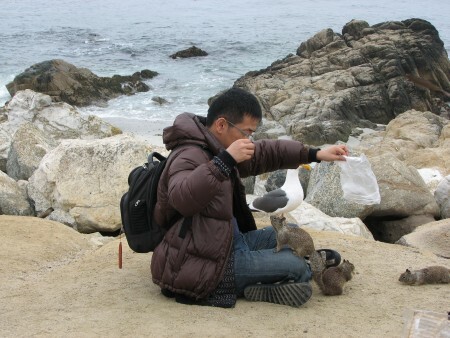 Bird Rock on the 17 Mile Drive – Get Your Fill of Guano Here! 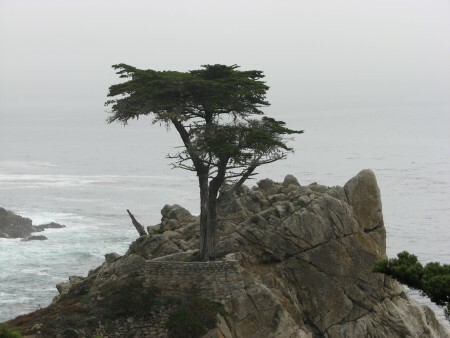 Another of the scenic pull-outs is at the Lone Cypress, which is a Monterey Cypress tree growing on a rock outcropping jutting out into the bay. 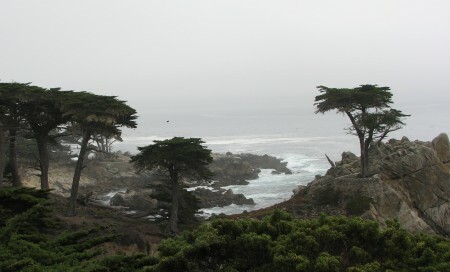 Monterey Cypress trees are native to only two small areas, at Cypress Point in Pebble Beach and at Point Lobos near Carmel. The trees in these native stands are up to 40 meters tall, 2.5 meters diameter and 300 years old. 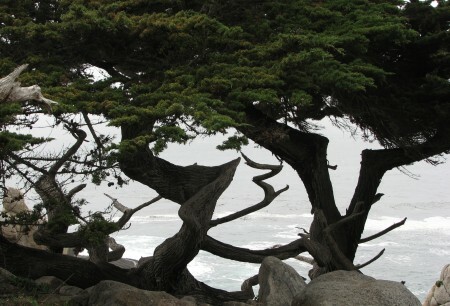 These trees are unique because as they age, they take on a twisted, spread-out form due to the high winds that they are exposed to on the coast of California. As you drive, you see the beautiful homes of the rich and famous – this is some of the most exclusive real estate in the world. Some of its famous residents include Charles Schwab, King Merrill Chase (GM Executive), George Lopez, Clint Eastwood and Condoleeza Rice. On the drive, you also come upon the Pebble Beach Golf Links and the Pebble Beach Lodge. The lodge is open to the public, and so is the golf course, but at $495 for 18 holes, it is a bit rich for my blood. You can stay at the historic Lodge (built in 1919) starting at a mere $745 per night! I better keep looking for my anonymous benefactor… Good thing golf isn’t really my sport anyway. I’ll stick to mini-golf! The entire drive is 17 miles, and is well worth the time. The only thing that would have made it better is if we had blue skies – but I suppose the cloudy weather probably meant that there were fewer tourists. There are only limited options for food and fuel (super expensive gas!) – the Pebble Beach Lodge does have a public restroom tucked in among the many ritzy golf shops and clothing boutiques. 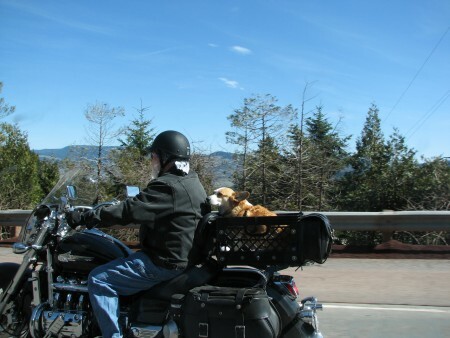 After our slow cruise through the 17 Mile Drive, it was time to hit the highway for our next destination – Sacramento!